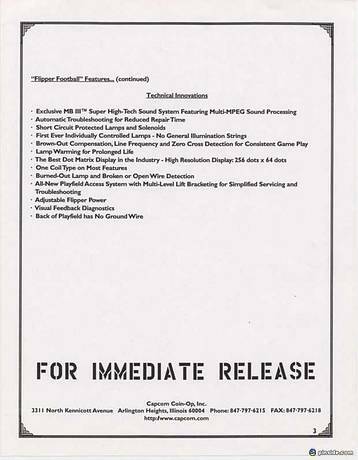 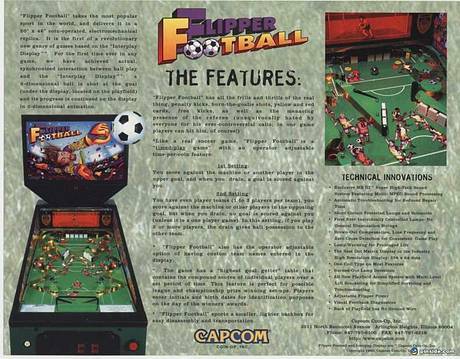 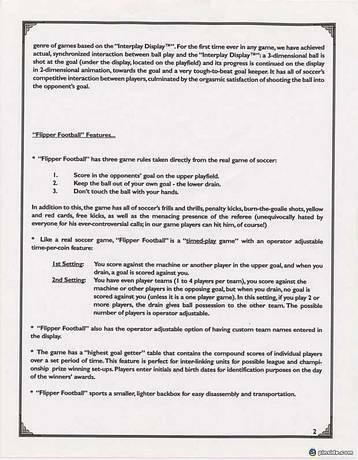 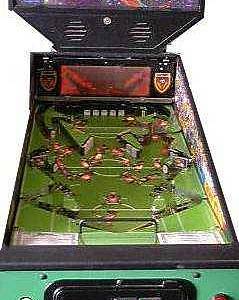 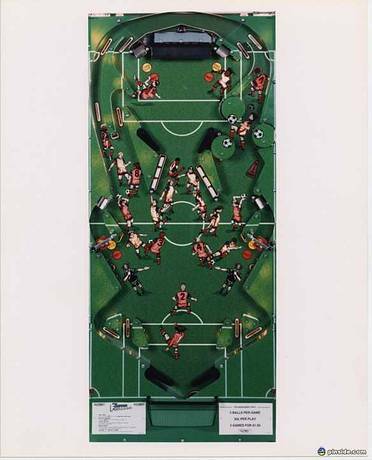 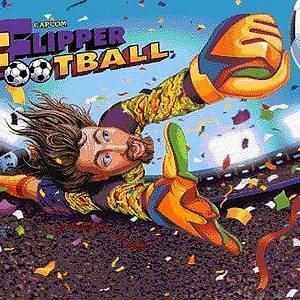 Flipper Football is a pinball machine from October 1996, manufactured by Capcom Coin-Op, Inc. 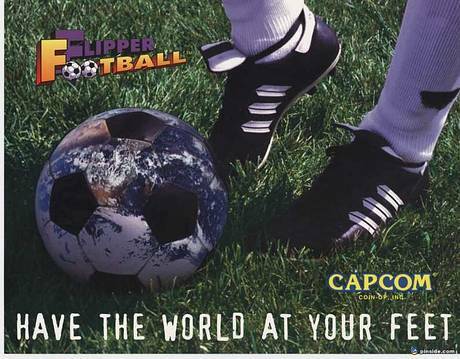 Manufactured by Capcom Coin-Op, Inc. 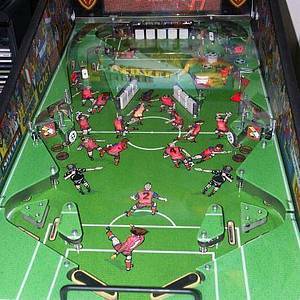 This game has received 21 approved Pinsider ratings and currently has a rating of 6.499 out of 10. 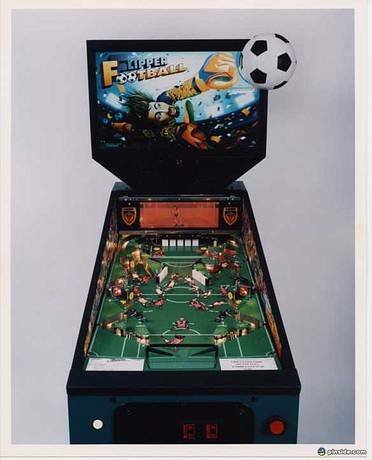 This game ranks #334 in the Pinside Pinball Top 100. 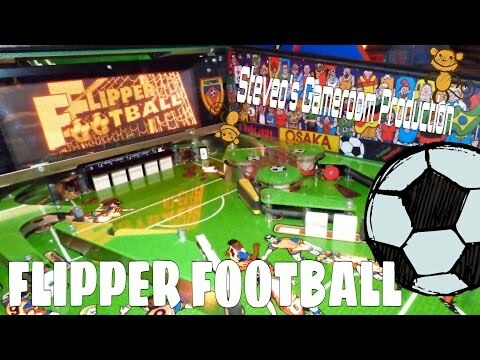 Flipper Football Display Gassed Out, Am I Screwed?